Located on the beach in front of the Melia Cayo Coco, the Blue Diving Center in Cayo Coco can be reached on the free call number 301020 from any reception or excursion desk in Cayo Coco. 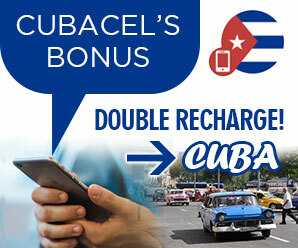 To call from home the numbers are (+53 33) 30-8179 or 30-8180. However, if you’re in Cayo Coco its short walk from most hotels in the area. If you are close enough to the Melia Hotel, there is always somebody at their beach office, even if the team are out on a dive. The Blue Diving Center is American Canadian Underwater Certifications (ACUC) certified because the American Padi certification cannot be validated in Cuba due to the economic embargo. Their open-water certification is current and the dive team is very knowledgeable about the local currents. Tony, Livan and Marin, your instructors, have been diving off the coast of Cayo Coco for over 15 years, so you could probably assume they’ve experienced every type of weather and sea currents in this timeframe. 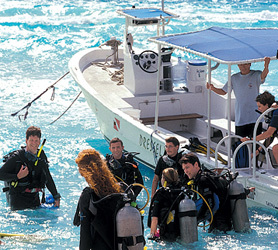 For beginners, the pool and then sea dive is just 45 CUC (as of 2014) which makes it a great daytrip for novices. More seasoned divers can take one (or both) of their daytimes dives each being two hours long. If you take both it will end up being a whole day affair from 9 am to 4pm with a 2 hour afternoon break as others join the second group of divers. These dives cost 82 CUC for two dives and a package of 6 dives is 220 CUC.